Introducing our 2019 Special Collections!! The following collections each contain 5 stunning and healthy bush roses. These fantastic offers are available for a LIMITED TIME ONLY and will sell out fast!! 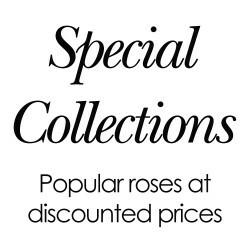 All Special Collections contain bare rooted bush roses. Collections are set and cannot be exhanged or adjusted.